NSRCC's Executive Par 3 layout, known as Defence Industry Links, is a fine complement to the Changi location's 27-holes. Landscaped water hazards, and well tended bunkers with true sea sand combine with matured trees and a seaside location next to East Coast, offer players a beautiful place to practise and learn the game. This is the first links-style Par-3 golf course in Singapore. The Executive Par 3 course of the National Service Resort & Country Club is open daily to the public. 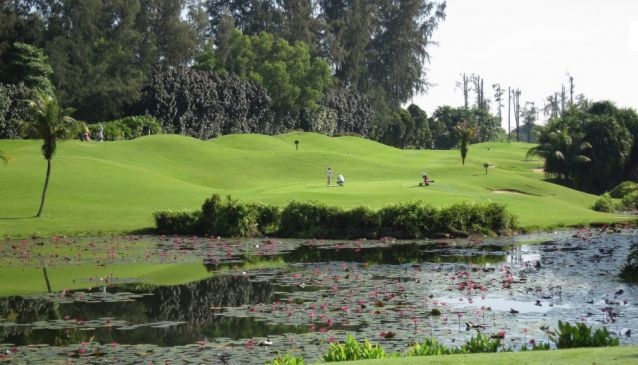 Green fees for visitors are S$26,75++ on weekdays, and S$37,45++ on weekends.